Explanation: The striking spiral galaxy M104 is famous for its nearly edge-on profile featuring a broad ring of obscuring dust lanes. 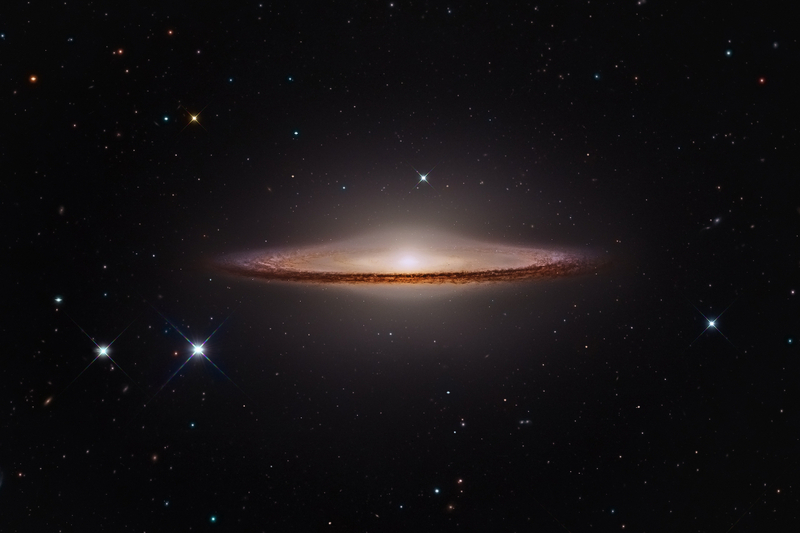 Seen in silhouette against an extensive bulge of stars, the swath of cosmic dust lends a broad brimmed hat-like appearance to the galaxy suggesting the more popular moniker, The Sombrero Galaxy. Hubble Space Telescope and ground-based Subaru data have been reprocessed with amateur colour image data to create this sharp view of the well-known galaxy. The processing results in a natural colour appearance and preserves details often lost in overwhelming glare of M104's bright central bulge when viewed with smaller ground-based instruments. 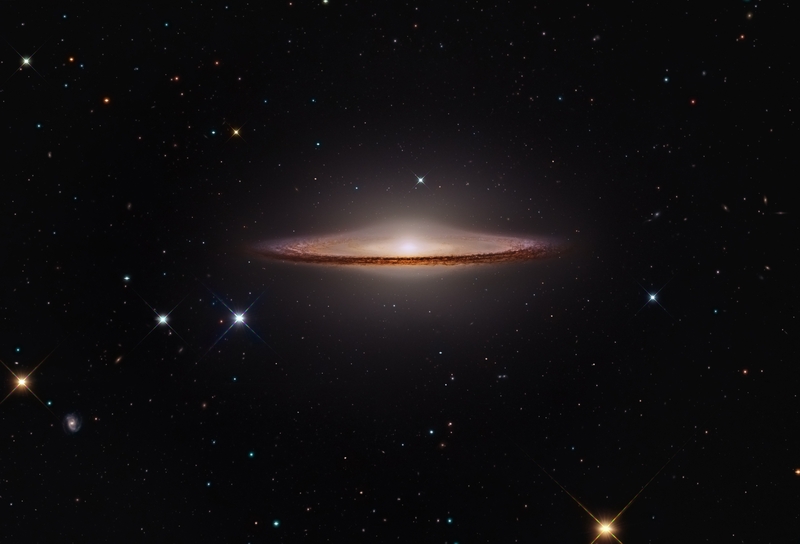 Also known as NGC 4594, the Sombrero galaxy can be seen across the spectrum and is thought to host a central supermassive black hole. About 50,000 light-years across and 28 million light-years away, M104 is one of the largest galaxies at the southern edge of the Virgo Galaxy Cluster.